Bishop-Designate Althea E. Greene is the daughter of Mae Cohens and the late Mr. Henry Cohens Jr. of Memphis, Tennessee. She is the mother of Eumecca Long and LaKesa Greene and grandmother to X’Zavier and Jase. Bishop-Designate Greene was educated in the Memphis City Schools System, LeMoyne Owen and Tusculum College. After graduating with a Bachelor of Science and Masters of Art Degree, she responded to God’s call. She began to preach the Gospel in 1987 at Vollentine M.B. Church, where the late Rev. W.M. Fields Jr. licensed her. Bishop-Designate Greene continued her studies and graduated from Tennessee School of Religion with a Bachelors of Theology and a Masters of Theological Studies. She retired from Shelby County Schools after thirty- eight years of service. Presently, she is the operator of Greene’s Grill and Three Generations Catering. Bishop-Designate Greene has served as an on-call Chaplain at The Regional Medical Center and William Bowl Hospitals. Bishop-Designate Greene took a leap of faith in November 2002 and responded once again to God’s powerful call. She organized Real Life Ministries and began services on January 5, 2003. Real Life Ministries moved to a new location in October 2010 mortgage free. Real Life Ministries celebrated its sixteenth anniversary in January and has ten active ministries. Bishop-Designate Greene has received numerous awards that include the Award of Excellence from WMCTV-5 and MATCU. She was named Christian Educator of the Millennium sponsored by Alpha Kappa Alpha Sorority Inc. Beta Epsilon Omega Chapter. In addition, Bishop-Designate Greene received the Crystal Apple Teacher Award from WMC-TV. Bishop-Designate Greene is also a proud member of Delta Sigma Theta Sorority Incorporated, and serves on the Spiritual Leadership Team for the Shelby County Chapter. Other memberships include: NAACP, SCLC, and Stand for Children. 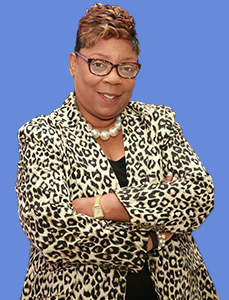 Bishop-Designate Greene is an affiliate of the Full Gospel Baptist Church Fellowship International, where she currently serves as Treasurer for the West Tennessee Region. Additionally, she serves as Regional Director for Emerging Churches for the Central Region and President of Mid-South Covenant Churches. Pastor Greene was recently appointed Bishop Designate by Bishop Andre T. Beatty, and the executive Council of Kingdom Culture Assembly of Churches and Ministries. She is a member of New Friendship MB Church, under the dynamic leadership of Pastors Paul and Co Pastor Debra Reed. Her passions include: teaching, preaching, reading, traveling, shopping, and grilling. Bishop-Designate loves the Lord, and gives God the Glory in her Pastoral work. Most recently, Bishop-Designate Greene was appointed to serve District 2 on the Shelby County School Board in February by the Shelby County Board of Commissioners. .
Stephanie Love has lived and been active in North Memphis, Millington and unincorporated areas of Shelby County all of her life. Stephanie Love attended Millington Central High, studied Psychology at The University of Memphis and later became a licensed cosmetologist. Ms. Love's advocacy began as a parent volunteer in August 2011 at Delano Head Start where she noticed the unacceptable parking accommodations. This motivated her to begin directing traffic to ensure the safety of the children and parents and was able to effectively advocate for an improved parking lot. Because of her passion and willingness to help, Stephanie was elected to serve on the Shelby County Head-start Policy Council where she later became Vice-Chair. Stephanie Love also served as Vice President of the Frayser Neighborhood Council- a community group that was born out of President Obama’s Neighborhood Revitalization Initiative in 2013. Stephanie was elected to the Frayser Neighborhood Council as a resident on May 4, 2013, and was later selected as Vice President by the group. The Frayser Neighborhood Council has had success in helping to improve the quality of life in Frayser. Some of those successes include effectively advocating Memphis City Council for improvements to Denver Park- a once gang-ridden park taken back by neighbors, getting approval from Memphis City Council for new sidewalks in front of Corning Elementary, stopping a new trailer park development, developed Frayser 2020- a plan to improve quality of life in Frayser and planning of the Frayser Town Center and just recently advocating with fellow Memphians to prevent a landfill from expanding next to an elementary school, and other urban neighborhoods in Shelby County. Stephanie Love was elected to the Shelby County School Board in 2014 and later re-elected in August of 2016. 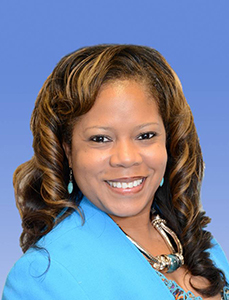 Stephanie Love currently serves as the Vice-Chair for the Shelby County Board of Education, the Chair of Community Engagement Committee and Co-Chair of the Legislative Committee. As a board member and parent of 3 school-aged children, she knows and understands the challenges parents and children face as it relates to the constant changes in education. Stephanie Love believes when parents, school employees, district officials and all elected governing bodies work together more can be accomplished. Scott McCormick is a native of Memphis, Tennessee. He attended Memphis City Schools 1-12 at White Station and has a BBA in Finance from the Fogelman College of Business and Economics at The University of Memphis. After graduation, he went to work for his family business, McCormick Business Forms, Inc. founded by his father Frank C. McCormick. After a 26 year career, Mr. McCormick began a second career in non-profit management. He has served as an executive for several non-profit organizations in the Memphis community. In October 2003 he was elected to the Memphis City Council where he served from 2004 to 2008. As a member of the Council, Mr. McCormick was chairman of the Parks Committee until being elected Chairman of the Council in 2007. 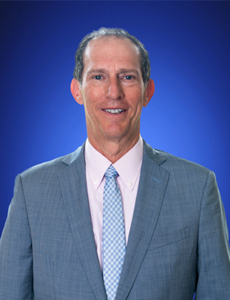 In addition to his professional work, Mr. McCormick is a Trustee and Vice-Chairman for the Shelby County Healthcare Corporation, which operates Regional One Health in Memphis. Additionally, he serves on the board of The Family Safety Center and The Memphis Zoological Society and has served in many volunteer positions, including the American Cancer Society’s local Executive Leadership Council, Chairman of Memphis City Beautiful Commission and the Memphis Rotary Club where he was a Paul Harris Fellow. He also is a graduate of Leadership Memphis’ Executive Class of 2013. Mr. McCormick and his wife, Carolyn, live in Cordova and have three children: Alexander, William and Grace. Shante K. Avant is a native Memphian who earned her Bachelor of Arts in Psychology and Master’s of Science in Social Work from the University of Tennessee. After completing her studies she returned to Memphis with the belief that her beloved city had much to offer to her and she to it. She currently serves as Deputy Director for the Women’s Foundation for a Greater Memphis (WFGM) and manages WFGM’s staff and operations. She is also responsible for grant allocations, creating strategic partnerships to collaborate with corporate partners, community organizations, institutional giving and large donor stewardship. She has 20 years of non- profit experience, specifically with agencies focused on women and children. 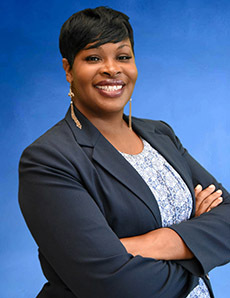 Shante’s community involvements include serving on the board of directors for Shelby County School Board, Clean Memphis, Secretary of Community LIFT, College of Social Work Advisory Board and New Memphis Institute Advisory Board. 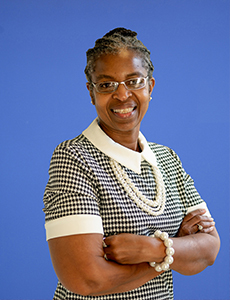 Other accomplishments and achievements include the Ford Foundation Fellowship, Business Journal “Top 40 under 40”, Tri State Defender Woman of Excellence, New Memphis Institute Fellows Program, MPACT Memphis, Past Board Chair, Women’s Funding Network International Leadership Cohort and Leadership Memphis. Other affiliations include Early Success Coalition and Grantmakers Forum. She is the proud mother of one daughter, Peyton, who attends the creative and performing arts school, Rozelle Elementary. William E. Orgel (Billy) is a native of Memphis, Tennessee and a graduate of the University of Texas at Austin in 1985. After graduation, he moved to Memphis to work at his family business, Majestic Communications, which he helped build into the areas’ largest retailer of Motorola two-way radios. When the two-way business was sold in 1995 Billy began to build on his existing portfolio of radio communications towers by performing build to suit services for the newly licensed wireless carriers. Tower Ventures, currently own over 425 towers and they have built and sold an additional 700 towers since the company began its operations. Recently, he was re-elected to a second term to the Shelby County School Board and served as its Chairman of this body for two years. Billy is also a past Board Member of the New Memphis Arena Public Building Authority that oversaw the construction of the FedEx Forum, the home of the University of Memphis Tigers and the NBA’s Memphis Grizzlies. He also became one of the members of the Grizzlies ownership group in 2013. In addition, he is a member of the Executive Board of the National Civil Rights Museum in Memphis, a member of the Methodist Hospital Board and member of the Memphis University School Board of Trustees. In 1999, Billy was selected by the Memphis Business Journal as one of their “Top 40 Under 40” of local community leaders and was recently selected as a member of the Memphis chapter of the Society of Entrepreneurs. In addition, Billy is an Organizer and Director of the First Capital Bank, a community bank with 250 million in assets. Over the years, Billy became interested in preserving historic buildings in Downtown Memphis, and to date he and his partners have completed new construction as well as the preservation of seven buildings that include commercial space and 500 apartments. Billy is also involved in the restaurant business as a franchisee of Ruth’s Chris in Rogers, Arkansas. He and his wife, Robin Salky Orgel, are lifelong Memphians and have three children, Benjamin (24), Megan (22), and Hannah (18). Benjamin is a recent graduate of at The University of Texas at Austin and Megan is a junior at UT Austin. Hannah attends St. Mary’s Episcopal School as a junior. 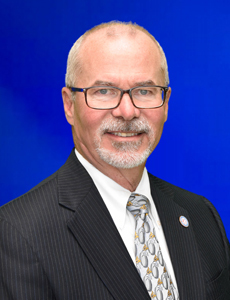 Kevin Woods is the Memphis market president for BlueCross BlueShield of Tennessee, which serves more than 3.4 million members in the state and across the country. In this role, Woods builds and supports key relationships with west Tennessee businesses. He also serves as a vital link between the Memphis business community and BlueCross sales and service teams. 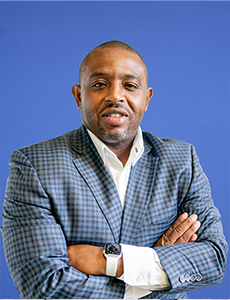 Before joining BlueCross, he was executive director of Memphis’ Workforce Investment Network, which assists city and county organizations with recruiting new companies to Memphis and improving employment opportunities for area residents. Prior to that, he was director of career development and education services with New Horizons Computer Training Center in Memphis. He earned a Master of Science in business administration and Bachelor of Science in computer engineering from the University of Memphis. He is a 2014 graduate of Leadership Memphis Executive Class, a New Memphis Fellow, as well as alum of the 2017-2018 class of Leadership Tennessee (Class V). He currently serves on the Leadership Tennessee Advisory Council. Woods also serves on numerous boards. Joyce Dorse-Coleman is a native Memphian who has lived in the Orange Mound Community for about 40 years. Joyce is a proud graduate of Melrose High and the University of Memphis. After years in the medical field, Joyce recently retired. Her compassion and love for our youth runs very deep. She has been actively involved in all phases of the education process. Joyce is quick to remind people that she is not a politician, she is a parent and grandparent that is passionate about how our future is taking shape. Joyce and her husband, Theodore Coleman, are the proud parents of seven children. All are graduates of Shelby County Schools. They are even prouder to have nine grandchildren. Five of which are now enrolled in SCS. Joyce has been actively involved as chairperson for the Parent Teacher Organization (PTO) and Parent Teacher Association (PTA) for several years and at several different schools. Joyce's dedication was put to the test after her neighborhood’s elementary school, Dunbar Elementary, was placed on the list of potential school closures. During this time Joyce became very ill, but that didn’t stop her from allowing her voice to be heard with other community members and community leaders. Together, they fought to keep the doors of Dunbar open to ensure the children of the Orange Mound Community could receive the best education close to home. "We must have people in place that are willing to be held accountable for what is taking place and that is just what I want you to do -- hold me accountable."